Photographs from the D-Day Conneaut 2012 historical WWII reenactment featuring WWII planes, truck, boats, jeeps and reenactors from all over the US and Canada. Visit http://www.ddayohio.us for more information. 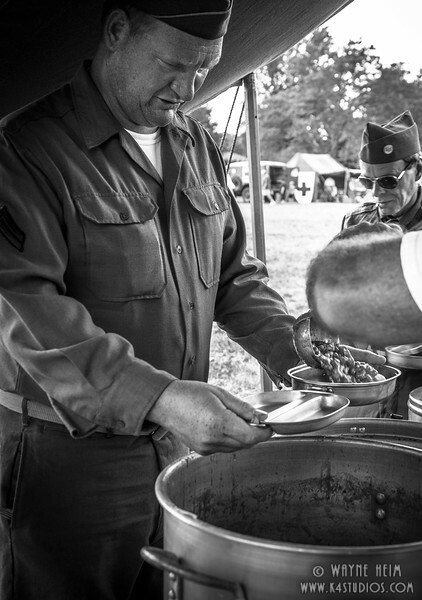 GI stands in chow line getting his meal.